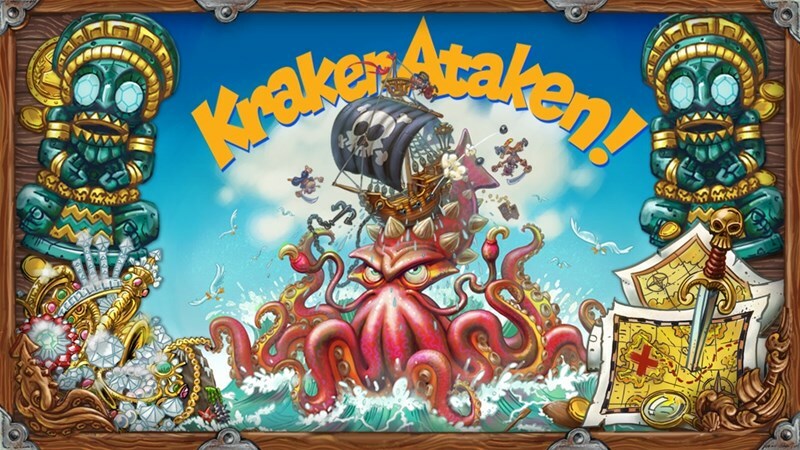 In most pirate games, the Kraken is a vicious monster that you must be wary of, lest it come and wreck your ship and send it to Davey Jones' Locker (as opposed to Micky Dolenz' locker). But in Kraken Ataken, you get to control your own Kraken, battling others as well as trying to wreck pirate ships. The new party board game is up on Kickstarter now. As you all know, Friday's my second favorite day of the week (just behind Saturday, and just in front of Sunday), mostly because once I clock out of work, it's time for the weekend! Woo! Of course, it's also a good time to fill up on some bite-sized gaming stories. 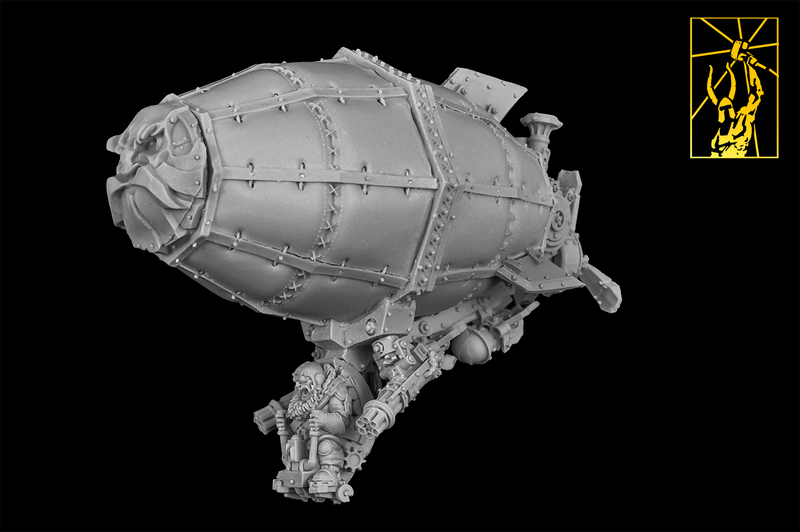 Today on the platter we have: New Tanks Available From Titan-forge, Brigade Models Releases New Alien Spaceships, and Kraken Dice Releases Boogeyman RPG Dice Set. We've finally made it to Friday! I don't know about you, but this was a really long week for me. Partially because I've been anxious to get back to playing D&D. Our second session will be tomorrow, and I can't wait. Later today, I'm going to pick up snacks and whatnot for the game. But I also need to nosh on some bite-sized gaming stories. And that's just what we've got for you here. 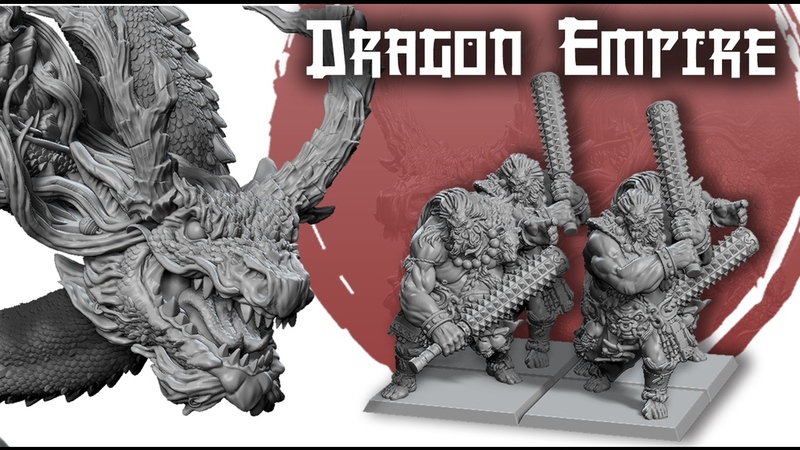 Today on the platter is: New Orc Rokkets From Kromlech, Titan-Forge Taking Orders For Dragon Empire Minis, Late Pledges Open For Elder Dice, and Historical Metal Coins Up On Kickstarter. Wow, Wednesday already? This week's just rolling by. Not that I mind that, of course. I've got some D&D coming up this weekend, so you know that I'm stoked. So, here's to hoping that the rest of the week jogs by quickly, too. But if we're gonna be jogging, we're gonna be burning up energy. If we're gonna be burning up energy, we need to replace it. If we're gonna replace it, we should nosh on some bite-sized gaming stories. Today on the platter we have: Brigade Models release 28mm Boy Scouts, Shadows in the Void Esh-Aven Protectorate Miniatures Arrive at PicoArmor, Statuesque Miniatures Release Heroic Scale Female Heads Narrow - Veterans on sale and restocks at 10% off, The Dragon Empire Army Coming to Titan Forge Soon, and Artifact Dice From Dog Might Games Up On Kickstarter. Well, it's finally Friday. Seems like it's taken forever. Also, who wants to take bets on me clocking out this evening and then suddenly feeling like I'm clocking in on Monday morning? You know weekends never work like the work week. It's going to just go by in a flash, I'm sure. Well, so I have enough energy to get through the rest of the day and then to zip through the weekend, I should load up on bite-sized gaming stories. Today on the platter we have: Paymaster Games launches Aztec Kickstarter, KaYo Miniatures Running Clown Army 28mm Miniatures Kickstarter, Dhovaine RPG on the horizon for Higher Grounds, Wu Wei hits Kickstarter on March 20th, New Quad Lascannon From Kromlech, Final Days for Dragon Empire Army Up On Kickstarter, One Page Rules Releases Battle Sisters and Dark Elves Lists, Sword Art Online the Boardgame: Sword of Fellows Coming To Kickstarter, Brigade Models Release New 6mm PacFed, Imperial Agents Weekend Promo From Kromlech, and Rebel Minis Releases New Sci-Fi Horror Packs. It has been a busy week. Work has been full of time working on (redacted). I can't wait until I can tell you all about it. 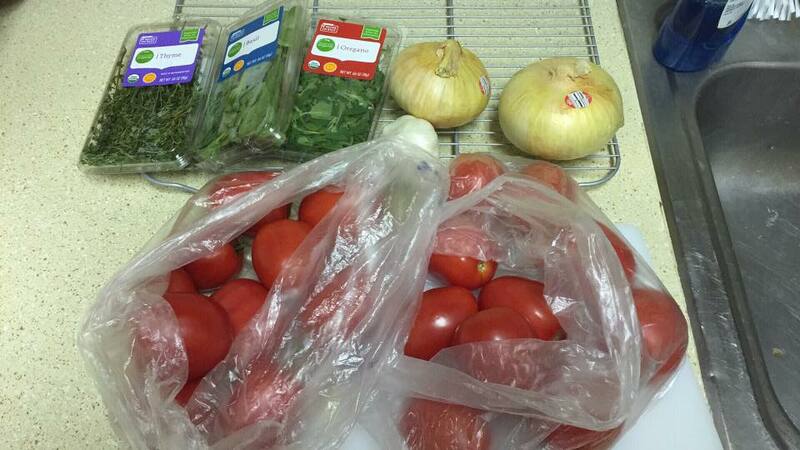 Other than that, I'm making pizza tonight. And by that, I mean I made my own sauce from scratch, and the dough ball that will be the crust is currently in the fridge, slowly rising. It'll be brought out when I get home. The only thing I didn't do was cure my own bacon, grind my own Italian sausage, or make my own mozzarella cheese... though I could possibly do those first two, and might at some point. And as for tomorrow, it's Board Game Day at the Milton Library, where I'll be playing Guild Ball and Fujian Trader. Hopefully you have your own gaming plans lined up. With all that going on, it's best to load up on some bite-sized gaming stories. Today we have: Ancestral Ruins Bases 20x20mm and 25x25mm Now Available From Tabletop-Art, Arcane Arts gets a face lift, Zen Bins Destiny Storage Trays Up On Kickstarter, Titan-forge Launches Dragon Empire Kickstarter, More Info Posted About Trollkins Indiegogo Campaign, New Ultimate Barrage Template from Pyrkol, Desert Basing Kit Available From Gale Force Nine, Khurasan releases Oceanic Republic NF range, and New Weekend Promo from Kromlech. Well... that was a bit of an adventure. For those interested in keeping track, Monday I noticed my car had a coolant leak. Tuesday I took it into the shop. They originally said, "it'll just be a couple hours." Then they said, "it'll be overnight (they needed a part)." So, seeing as I was clear on the other side of town, I crashed at a friend's place (as a 50mi walk home didn't sound fun), picked up my car this morning, and am now back into the office. Hooray! You know what I could use? A snack. Or at least some snack-sized gaming stories. Hey! Look what we've got here! 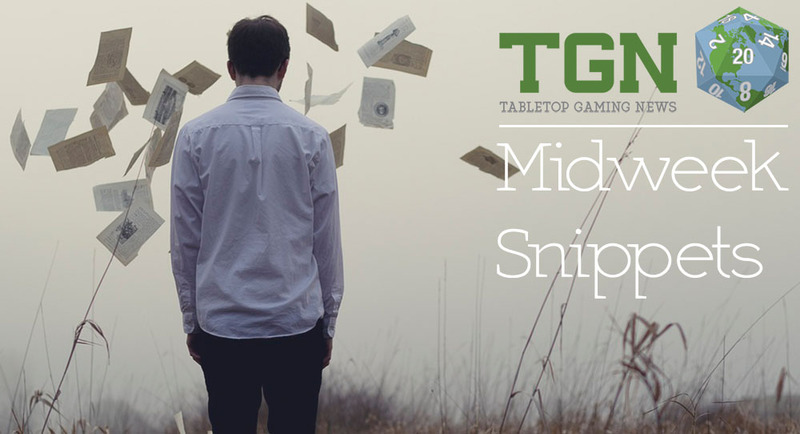 In today's Snippets we have: Collins Epic Wargames introduces Milestone Rewards for Polyversal, Cast Metal Gaming Dice on Kickstarter, FatMan Productions Posts New Previews For Awakening Recon, Frostgrave Fan Base Launched, Blacksmith Miniatures release: the apothecary, Photos from Nuremberg Spielwarenmesse 2016, Malifaux translated to Italian, The Circle of Chaos Kickstarter Going On Now, Shipping Update from Nexus Miniatures, Titan-Forge releases new Void Cannon, Last Couple of Days for Era: The Consortium Kickstarter, and Coming on 13th Feb - Era: Lyres Pocket Edition - a £1 Tabletop RPG. Well, while it seems like we dodged one bullet here in Georgia the other day, only getting some rain. It's looking tonight like we might get a bit of accumulated precipitation. Though considering tomorrow it's supposed to get to 38 and the day after it's supposed to be sunny and 51, I'm not really worried about it. I can't really say the same for the rest of GA. They seem like they're going freaking nuts. But waddyagonnado? Before then, though, we need to get you some bite-sized stories. So let's go ahead and do that. Today we have: ArmiesArmy 15mm Cold war Kickstarter Breaking Through Stretch Goals, Khurasan releases 15mm PMCs (or special ops), Gob'z'heroes Breaking Through Stretch Goals On Kickstarter, New Iron Reich Goblin Squad Available From Kromlech, FatMan Productions introduces Awakening: Recon, Prang Raider packs and platoon now released From the Ion Age, The Guildmate Half Rack Tray Available From Tectonic Craft Studios, New alternative driver for Titan-Forge zeppelins, Khurasan releases 15mm Middle Eastern Heavy Weapons set, Alternative Armies: 28mm Undead and Monsters range released with freebies, and New Lava Bike/Cavalry bases Available From Dark Art Miniatures. We're just chugging right along in the week. We've already made it back here to Wednesday. Hopefully the week has been treating you well. As for us here, we've got another batch of bite-sized stories for your enjoyment to nibble on. 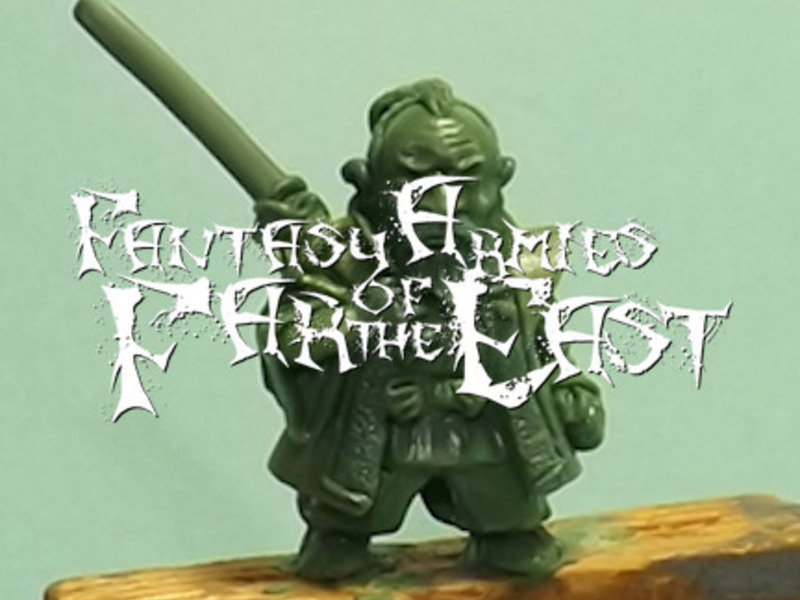 This time around there's: Iron Brigade New from All the King's Men, Vurt RPG Updates their Stretch Goals, Final Week for Lobotomy On Kickstarter, Blackwater Gulch Kickstarter - Croatoan Deeper Look, Arena Rex Emissaries Wanted, Proxie Models Releases New Card Game Tokens, 15mm Command Decision infantry for sale, Denizens of Galaxy III released at 15mm.co.uk, and Dogmen of ruined Pudigrochumsberg coming for Flintloque. 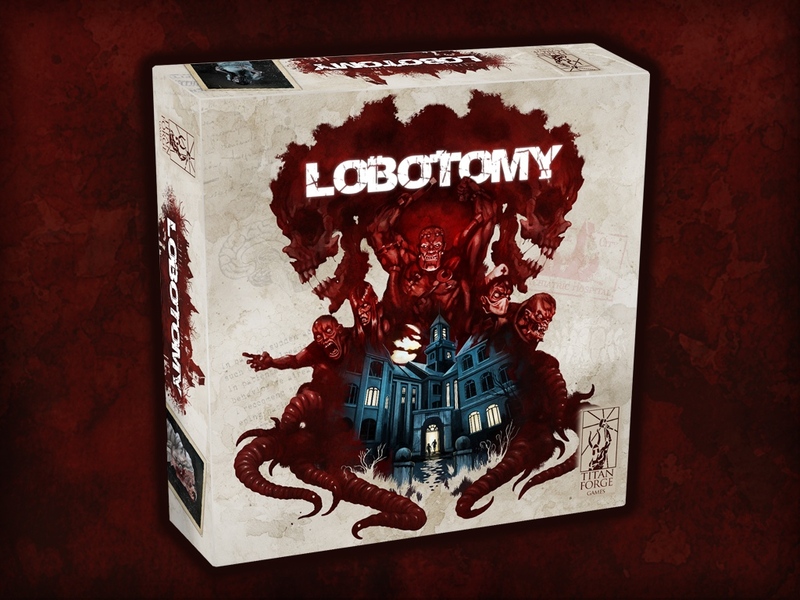 Seems that all y'all are crazy... crazy interested in Lobotomy, the new board game from Titan-Forge. In it, you play as a patient looking to escape from a hellish asylum. Or maybe it's all just in your mind... You may never know. What we do know is that they've made it to more than 4x their funding goal already and have various unlocks and add-ons they've put on their campaign page. You don't have to be crazy to play this game, but it'll help. ... That's meant in jest, by the way. I'm not saying you actually have to be insane to play Lobotomy from Titan-Forge. It just so happens that you're playing crazy people trying to escape a nightmarish asylum... or maybe it's just all in your mind. ... Almost reminds me of Brazil. Seriously, is the week just chugging along for the rest of you, too? It is for me. Seems just yesterday I was working on stuff for Monday. Now it's already Wednesday. I guess being ridiculobusy before Gen Con will do that to you. As usual for a Wednesday, we've got our collection of bite-sized stories for your enjoyment. In this batch we have: Some more installments of The Fiver from The Meeple Mechanic, Acheson Creations Releases four new Rabbithole Series Game Pieces, New Dwarf Engineer from Titan-Forge, Skirmish Outbreak Rager Figures to be released at Gen Con, New previews for Human Interface - Nakamura Tower, Menhir Games: New Characters 3D renders for 28mm fantasy, Abba Games Announces Portal of Morth Tower Defense Dice Game, and Simple System Offers Refunds to physical-level Kickstarter Backers. Titan-Forge has announced a brand new board game they've been working on. This one's a bit of a more dark and sinister theme than Armymals has. The name of the game is Lobotomy, and the goal is simple: get out of the insane asylum. Should be pretty easy, right? Err... maybe not so much. The work week rolls on. I'm once more in my Wednesday attire (Kansas State Baseball practice jersey over SIUE t-shirt), which is appropriate, seeing as it is Wednesday. With any luck, your week is going by nicely. Here at the office we're looking to play some Age of Sigmar this afternoon. It'll be our first time playing. Don't worry, we'll let you know how it went later in the week. But at the moment, we've got a batch of bite-sized stories to give you. This bundle includes: Age of Sigmar Points Calculator & Patch from One Page Rules, some more installments of The Fiver from The Meeple Mechanic, Abyssal Dwarves and Vampire Counts added to Army Throne from Warthrone, New miniature by Brother Vinni: "Project Limes" Commander, Another World Indiegogo campaign: Stretch Goal Unlocked, War Mage Games to launch their Tournament & Transport Solution this week, Cibo's Little Dudes Historical Miniatures, Interdimensional horrors invade Meridian Miniatures, Ancient Machinery 30mm and 40mm Round-Lip Bases Available from Tabletop-Art, Titan-forge new Ghostbikes, Celestial Knight preorder from Kabuki Models, and Syrinscape Now Compatible with iPhone and Android Phone. Well, we're mostly caught-up here after the Expo last weekend. Still a few things to deal with, but my inbox was actually down to a manageable level after going through it yesterday. Of course, it's now filled back up again, but waddyagonnado? Another thing that's full is the box with the bite-sized stories we've collected over the past couple days. Good thing it's time for our regular Snippets post. In this batch we have: New Releases from Scotia Grendel, Mounted Heroes 3D Store Opening This Fall, Some More Installments of "The Fiver" with The Meeple Mechanic, Spirit of Slaughterloo scenario for Flintloque, Manorhouse Workshop Update #38 – Modular Underground Project – New Pledge and new Early Bird, Iron Battlefield: corridors, buildings and catwalks for Space Hulk & Infinity on Indiegogo, Siren Miniatures posts Concept art for incoming July releases, Japanese-themed Robin Hood figures on Indiegogo, New Colossal Zeppelin from Titan-Forge, New Dungeon Saga Tiles Previews, New Dungeon Saga Tiles Previews, Heroic Maps - Outstation H9-7M, Infinity Plus One Master of Coin Kickstarter Happening Now, Soda Pop Miniatures Previews Beach Party Marie-Claude, Tabletop-Art Previews new Terrain, Historical, Fantasy and Sci-fi Offers at 15mm.co.uk, New Pulp Alley figures by Statuesque, and Demigods Evolution unlocks Angel of Death. Titan-forge is in their last days up on Kickstarter. They've blown past the goal and through several stretch goals, but they'd like to go for more before the buzzer goes off. As such, they've launched a contest over on their Facebook page. Backers who share their photo can potentially win $160 worth of product. 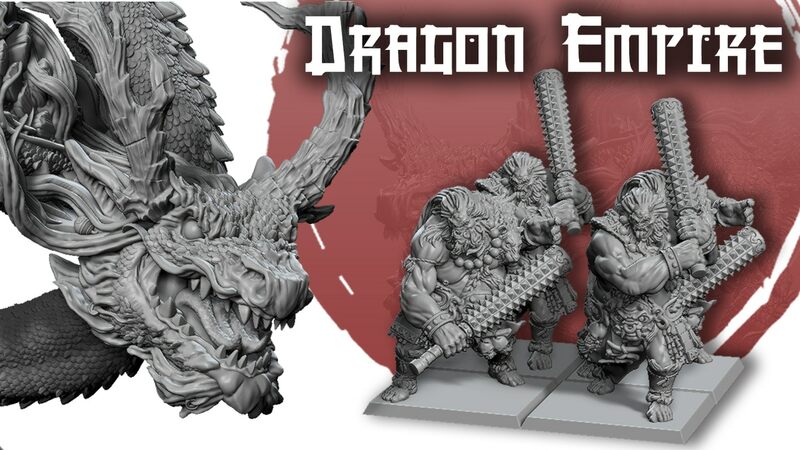 Titan-Forge has added new Kickstarter exclusives to their X-Terra Space Force vs. Daemonic Kingdom campaign. You can get new objective markers, a new vehicle, or some new artillery. They've got a special bundle deal as well. The campaign is more than 3x funded with still 15 days to go. 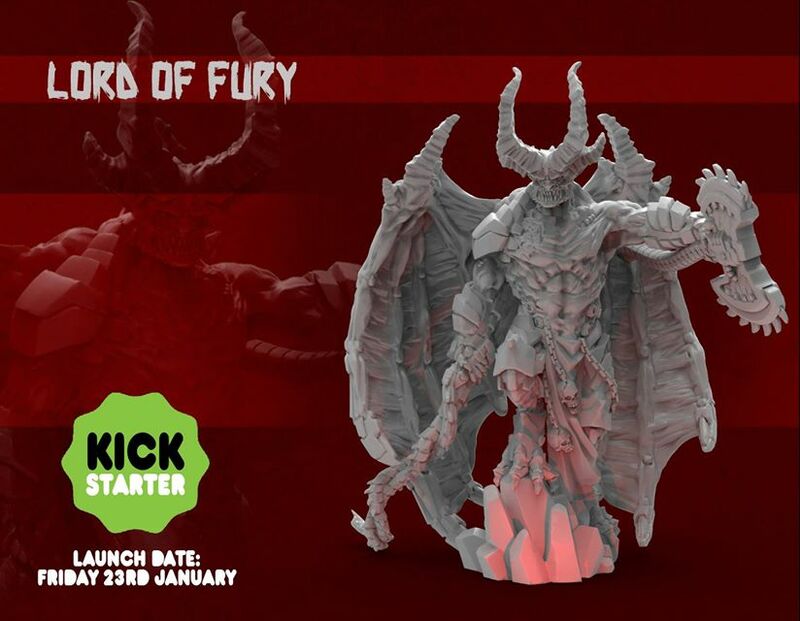 Titan-Forge has their latest Kickstarter project underway. They've left behind the steam and iron for the wide open spaces of outer space. 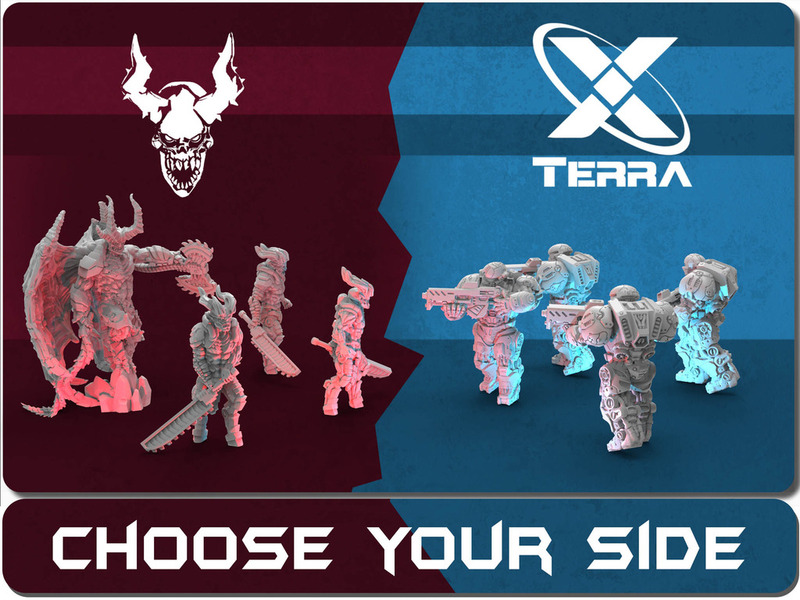 Whether you want some of the X-Terra Space Force or some of the demonic Daemonic Kingdom, they've got the minis for you. 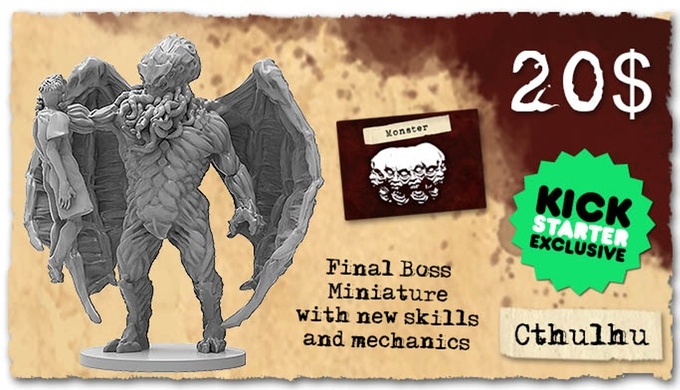 They're already more than 2x funded, with some stretch goals already unlocked. It's Wednesday already? This week's going by like last week did. It'll be Saturday before you know it (and time to play some D&D for me, anyway). So here's another group of shorter stories we found over the past few days we wanted to pass along. After the break, we've got announcements about several Kickstarters launching next week (Titan-Forge, Wizard Dodgeball, Ghost Train Games, and Schrodinger's Cats), some new renders from the ATER Kickstarter, Gioconomicon's Giocomics now available in English, a new WIP from Escenografia Epsilon, a new release from Brother Vinni, a New Military History: Medieval Wargame How To Play posted, some new WIPs from Abyss, Archimina launched their Kickstarter campaign, and finally, some new concept art from John Kovalic for a secret project he's working on. Here's the latest batch of news snippets for your Sunday reading. There's a bit of everything. 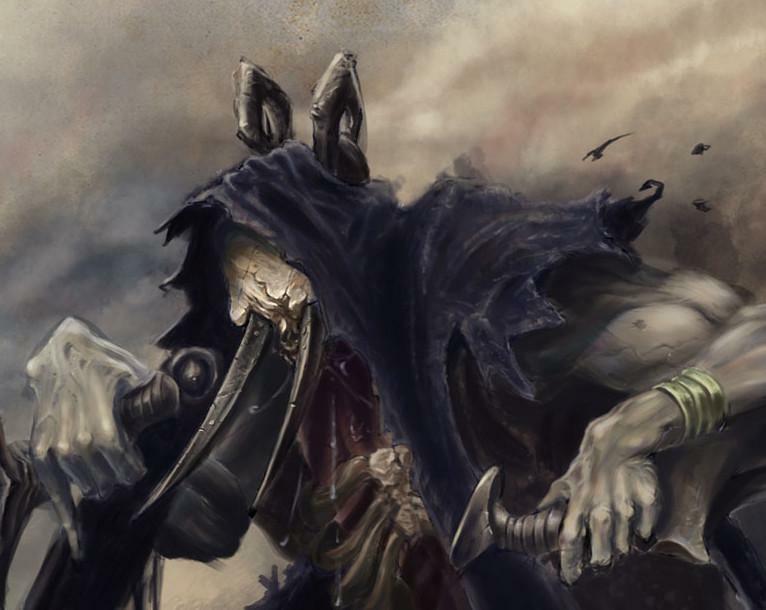 New Skeleton Centaur Cavalry paper minis, a new Inquisitor from Kromlech, a new NOLA house from Finger and Toe, some new fantasy minis from Lone Wolf's 32mm range, and a whole bunch more to see. Click on through to the other side! 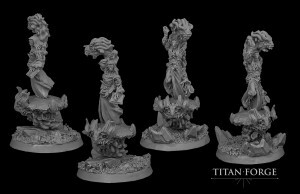 Titan-forge takes to the air with their latest release. This time it's sky beasts. Another deadly beasts soaring over Daemonic Kingdom! 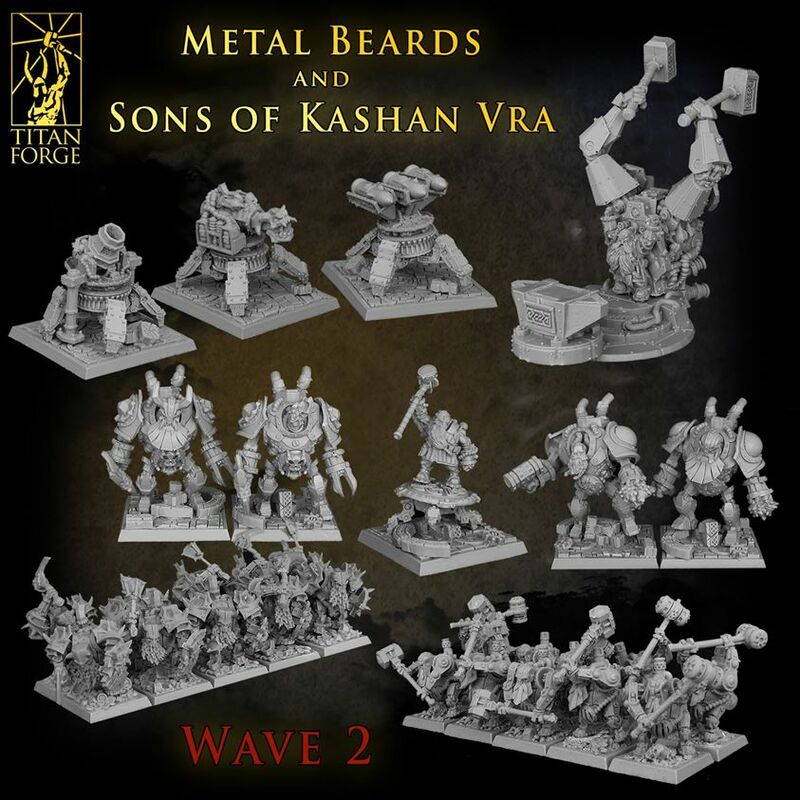 Titan-Forge has their 2nd wave of minis that were funded via their Metal Beards Kickstarter campaign now available over in their webshop. 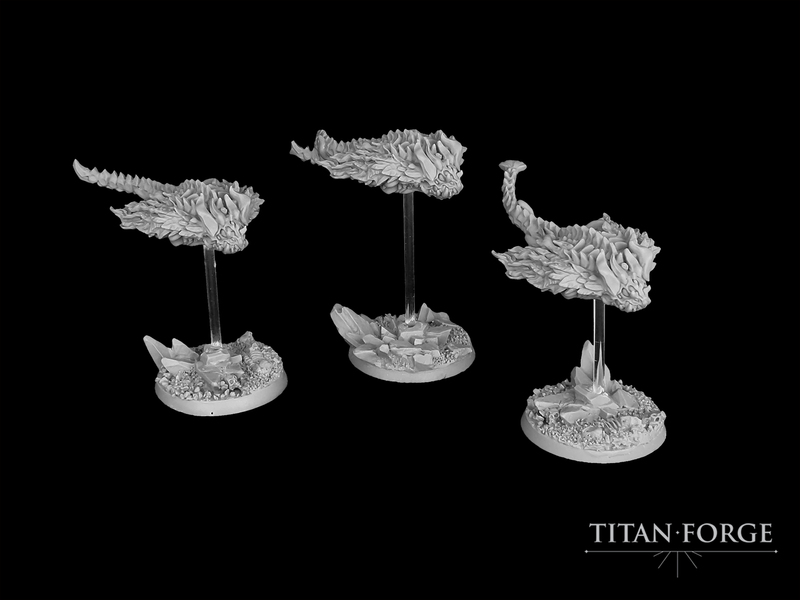 Titan-Forge has released their new Warlocks on Skybeasts set over in their webshop. This set contains four Daemonic Warlocks on Skybeast models. Master model sculpted by S?awek Ko?ciukiewicz. Models are made in 30mm scale. 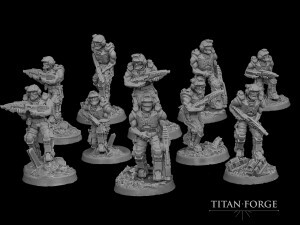 Titan-Forge steps away from the steampunk and fantasy for a bit for a new sci-fi release with their new X-Terra Guardians. 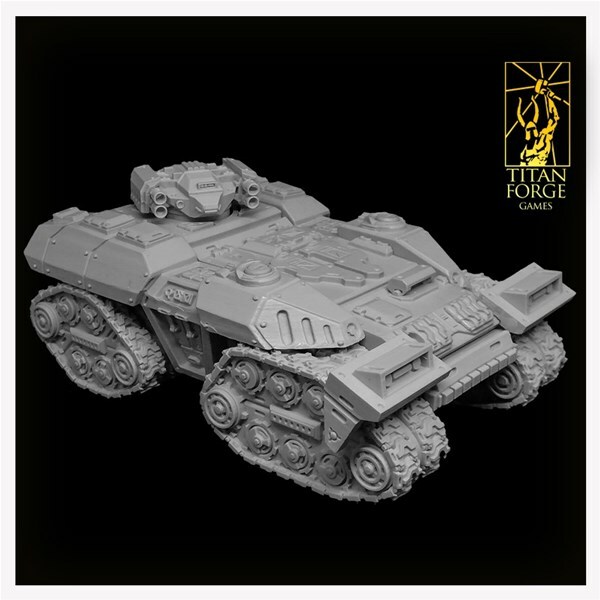 Titan-Forge releases first product from new X-Terra line: Guardians. 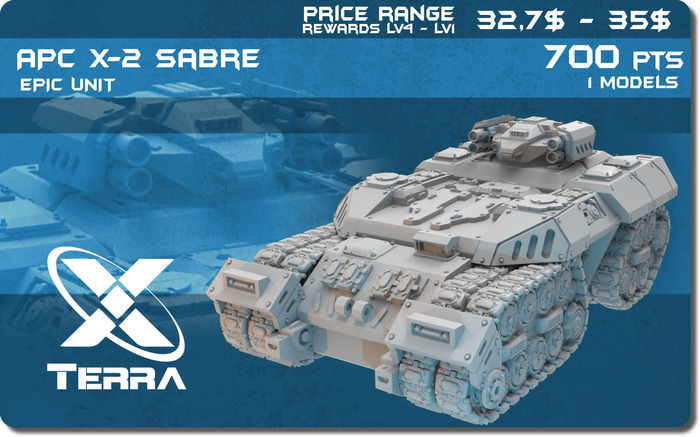 X-Terra line will also feature Terra Marines, heavy armored Terra Titans, Terra Force tanks and bikes. Armymals is in their final couple days over on Kickstarter. They've made it rather far through their stretch goals, but there's always room for more. 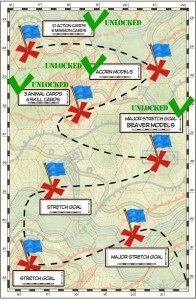 Armymals are funded for a while now but we are trying to get the last rush at the end of the campaign. This is why we are preparing to cooperate with Q-Workshop, the leading prodcuers of dice. 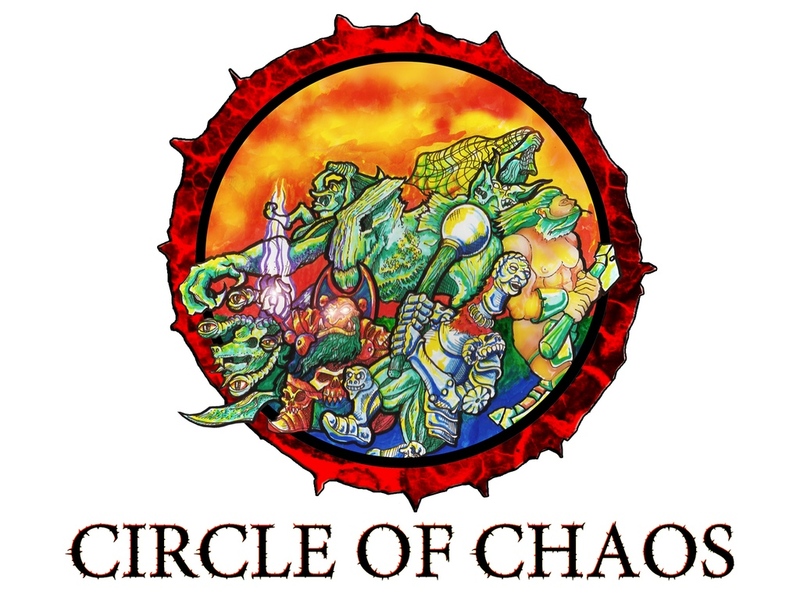 They are known for big titles like Arkham Horror, Call of Cthulu, Hordes, Warmachine and many more. We are glad the the dice we offer will be of the same, excellent quality. Moreover, during the campaign we have unlock many cool stretch goals and implemented lots of suggestions posted by the community. We have also decided to include all those great indeas no matter if we reach the specific amounts or not. In other words - more free stuff for our supporters! Join use during those last days for great rewards and fun with Armymals!